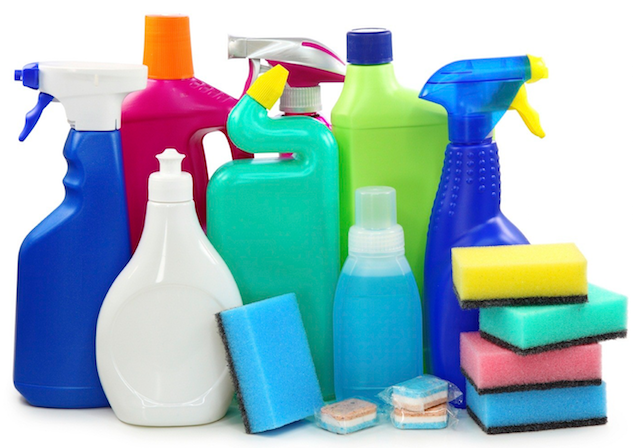 In general, cleaning chemicals are harmless if used properly and the same can be said for carpet cleaning chemicals. If a trained Fort Wayne carpet cleaner is using the chemicals for their service then it is likely that no harm will come from them. The danger of carpet cleaning chemicals is if a homeowner decides to use rental carpet cleaning machines for their home instead of hiring a carpet cleaning Fort Wayne company for the job. Rental carpet cleaning machines require the renter to purchase gallons and quarts of chemicals and solutions to use in the machine but the typical homeowner might not know the appropriate chemicals to use for their carpet fibers or carpet stains or how much to use. If too much of any kind of chemical is used then you will start to smell toxic fumes. Especially in smaller spaces and if the doors or windows in your home are closed. If carpet cleaning chemicals are mixed together that shouldn’t be then that can also be dangerous and ruin your carpet. Some professional carpet cleaning services do use what’s called an acid-wash to rinse carpet after they clean it and that’s not something you probably want to expose your carpet or your family to too often. Instead of renting machines that need carpet cleaning chemicals or hiring a carpet cleaner that uses an acid wash or soap and detergent, use a green cleaning service. Chem-Dry of Fort Wayne offers carpet cleaning that doesn’t use any cleaning chemicals at all. We don’t even use soap. We use carbonation and cleaning solutions found on the FDA GRAS list. That means they’re safe! The Natural®, our cleaning solution, lifts dirt with carbonated bubbles and our equipment safely and efficiently removes it from your home. 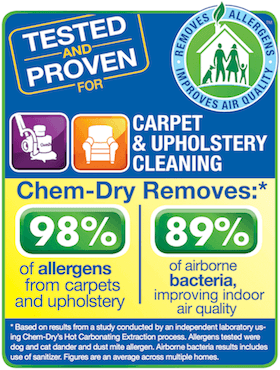 Call (260) 409-1138 to schedule your carpet cleaning appointment with Chem-Dry of Fort Wayne today!